One Fat Frog helps a lot of restaurant entrepreneurs get their startups going. We see a wide range when it comes to the preparedness of our clients, from those who have everything planned out in large color-coded binders to people who have no idea what they want to do but think “I’d like to have a restaurant, so I guess I need equipment for that.” Whatever your level of preparedness, One Fat Frog can help you get on your way to opening that dream restaurant. Today’s Restaurant Startup Tip is all about the SWOT analysis. A SWOT analysis is a list of your Strengths, Weaknesses, Opportunities, and Threats. It is a list you should come up with early in the planning stages, probably when you first start working on that business plan. 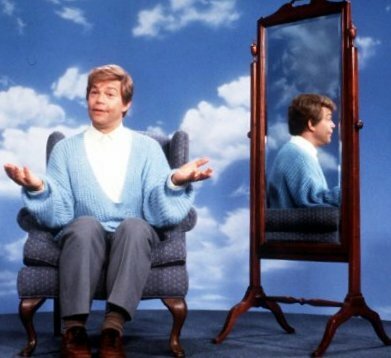 This isn’t about sitting in front of a mirror and doing your daily affirmations (“I’m good enough, I’m smart enough, and gosh darnit, people like me.”). This is an honest analysis that looks at the good and the bad. Strengths: What are your strengths that would give your restaurant startup an advantage? Are you a great leader? Are you a great cook without countless unique recipes? Do you have a lot of investors or otherwise have a great financial backing? Also look at your restaurant idea. What strengths does it have compared to its competition? Weaknesses: This element isn’t as fun to analyze but it’s equally important. What are your weaknesses as an entrepreneur and what are the weakness of your restaurant idea? Are you bad with finances? Are you unable to work long hours? Are you terrible at making analytical lists? Opportunities: You need to analyze the opportunities that your restaurant startup can exploit. Will you be offering a cuisine that isn’t found at any other restaurant in your area? Will your prices be the cheapest around? Is the local demographic the same as that of your customer base? Can you get the building super cheap because of a dip in real estate prices? Threats: Every business has threats that endanger its success, and the restaurant industry is no different. The most obvious threat is your competition. Other threats could be anything from an economic downturn to crime to an increased cost for your food. A SWOT analysis isn’t any fun to do. Neither is a business plan, for that matter. But it’s one of the many tedious steps that are necessary when you make the decision to start up your own restaurant. Take care of the due diligence now and you’ll be grateful once your new restaurant is turning a profit.